Red Sea Liveaboard SCUBA tips & tricks. Read this before you book, pack or leave! Here’s a brain-dump of everything I’ve learned and experienced during my annual Red Sea Liveaboard holidays. I’ve written it to help people prepare for their first liveaboard and to give more seasoned travellers some tips and tricks I’ve picked up along the way. What is a liveaboard holiday? A liveaboard holiday is designed specifically for SCUBA divers where you live on a boat travelling around a specific region that offers good diving opportunities. The Red Sea in Egypt is famous for its liveaboards. Liveaboard holidays appeal to qualified SCUBA divers who want to dive up to 4 times a day and experience as many different dive sites as possible in a short period of time. A liveaboard holiday is typically 7 days, but some can run 10 or 14 days. Although entry level qualifications (PADI Open Water or BS-AC Ocean Diver) are the required minimum for a liveaboard holiday, there will be dives that exceed the maximum depth of those qualifications. For PADI Open Water, the maximum depth you’re qualified to dive is 18m. For BS-AC Ocean Diver it’s 20m. It’s recommended that additional training, certifications and experience dives are cone before departing to ensure you can do all the dives safely and comfortably. For PADI, the Advanced Open Water Course will qualify you to 30m and the Deep Diver Speciality Course to 40m. For BS-AC, the Sports Diver Course will quality you to dive to 35m. Important: If you exceed your maximum certified depth and there is an incident, any insurance you have will not cover any costs incurred. Firstly check the expiry, the terms and conditions and the policy schedule for your current holiday insurance. Check specifically if it covers you for the diving that’s planned during your liveaboard holiday. Check the exact wording. If in doubt, call your holiday insurance company and explain what you’re planning to do, the country, the gas (if Nitrox) and the depths involved. If your holiday insurance doesn’t cover you, you must get some insurance cover that does – at a minimum for the duration of the trip. I can personally recommend the insurance provided by the Divers Alert Network (DAN). Unless you’ve arranged with the holiday company to hire scuba gear, you’ll need to bring everything with you except cylinders and weights. Don’t take a hard case. Take a wheeled soft case as this will take up less room after you’ve emptied it and it’s been stored below deck. This has the advantage of moving some of the weight of your dive gear into your hand luggage. Be careful though if your airline has a weight limit on your hand luggage. See Airline luggage allowance below. There are urban-myths about diving with gloves and a knife in the Red Sea. This is to deter people from touching or damaging anything. I would say: if you feel the cold, wear gloves. You will be carrying a DSMB and reel/spool so instead of a knife, I would attach a discrete line cutter to the webbing on your BCD. Something like a Trilobite EZCut. Don’t pack anything with a blade in your hand luggage. Make sure you weigh your hand luggage and case before you leave home. There’ll be a crate of beaten-up solid “block” weights on board. They’ll be in various denominations and might be imperial or metric (i.e. pounds or kilos). You can either thread these onto your weight belt or put them in your quick-release BCD pouches or dedicated weight pockets. Weight belts, pockets or harnesses will not be provided. Bring what you need and are practised using. The Red Sea is much more salty than other oceans as there are no/few rivers flowing into it, so you’ll need another 1-2 kilos on top of whatever you use in salt water. I’d recommend having this extra weight “as far forward” as possible – ideally in trim pockets behind your shoulders or in dedicated weight pockets attached to a cam band on the shoulder of your cylinder. Cylinders are provided on the liveaboard and you can choose either 12 or 15 litre capacity depending on your preference. One important thing to note is that these will be aluminium cylinders and not steel as is commonly used in the UK. This means you won’t get the advantage of the extra weight at the start of your dive and will be additionally disadvantaged at the end of the dive as they’ll be more buoyant. To get around this, you’ll need to wear a bit more weight. Your first dive of the trip will be in shallow sheltered water off the back of the boat. This is the “check-dive” where you can adjust your weighting and kit as necessary. As a minimum, bring a spare battery kit for your dive computer. Ideally bring a second dive computer (and a battery kit for it). Bring a spare mask and a spare mask strap. Attach a snorkel to your spare mask and keep it in your crate. When the call goes up for dolphins being spotted, you can just grab your mask and snorkel and jump off the back of the boat. If you’re taking a brand new mask, make sure you’ve scrubbed it with toothpaste a few times before using it to stop it fogging up. UPDATE: I’ve just done the thing I said I would never do to a new mask to stop it fogging-up. I used a cigarette lighter to burn-off the invisible residue on the inside of the glass. This really does work but you have to be super-careful not to heat up the glass too much or melt the plastic frame or silicone skirt. The glass will blacken slightly, but this washes out leaving a perfectly clean surface that doesn’t fog up anymore. You can check how thorough you’ve been by fogging up the mask with your breath then watching how it evaporates – you’ll see the bits you’ve missed. I know people who do all 21 dives in slipper/pool fins and have a great time. The advantage of these is that they’re easy to put on and take off and they’re very lightweight. The disadvantage is they don’t provide much power and can easily fall off. I’d recommend wearing neoprene dive boots and fins with spring or rubber straps. Under your dive boots I strongly recommend you wear Lycra socks. These will stop you getting blisters from your fins. Blisters in salt water just don’t heal and will make your dives miserable. Don’t take rubber “technical” fins as they’re very heavy. Stick to more lightweight fins such as the Mares Avanti Quattro Plus fins. These come with surgical tubing straps as standard. You will be expected to carry a DSMB (Delayed Surface Marker Buoy – sometimes called a “safety-sausage”) and reel or spool. More importantly, you will be expected to know how to safely use one and be experienced in its use. If you don’t have your own, don’t borrow someone else’s, go out and buy one. Then practice first in the pool, then in open water from varying depths. You’ll be deploying a DSMB at the end of almost every dive from between 12 and 5 metres below the surface. Long before you’re due to start packing check the average air and water temperature reports for the area and time-of-year you’re travelling. In January for example, the air and water is cooler, and its windy. This will chill you during and after the dive. A full-length 7mm suit with base layer and hood is OK, but you’l’l get cold and won’t warm up. Consider a drysuit outside of the summer months. I’ve worn both 3.5mm and 5mm full-length wetsuits to the Red Sea in September/October. 3.5mm is fine for the first few days, but as the week went on and I started to acclimatise, I felt cold towards the end of the dives and night-diving was just chilly from the start. Wearing a long sleeve rash vest and neoprene beanie does help. On other trips I’ve taken both a 3.5mm and a 5mm full length wetsuit. I started out in the 3.5mm, then switched to the 5mm halfway though the week. Although this sounds ideal, it does mean you have to pack two wetsuits (which are heavy) and when you switch between them, your weighting will be all over the place. Some people take two wetsuits that they rotate between dives so they always have a dry suit to put on. Very nice if you’ve got the weight allowance. To keep things simple, I now just wear a 5mm wetsuit throughout the week. I get my weighting sorted on day one and never change a thing. The boat will have a typical dive toolkit, but if you’ve got something unusual that needs a special tool, make sure you bring it along. I like to have a few bits and bobs in a small waterproof plastic bag so I can sort myself out if I have a problem. Cone spanners that fit your regs/transmitter. Bring a small dry-bag with you to store anything you might need in a hurry but don’t want to get wet. An example of this would be your toolkit, spare batteries or save-a-dive kit. You can store the dry-bag in your crate on the dive deck. Clothing needed on a Red Sea liveaboard holiday is very different to an Egypt shore-based holiday. Don’t worry about “being seen in the same thing twice” or “dressing for dinner”. Everyone will live in the same swimsuit, shorts and t-shirts all week. I tend to bring more swimwear and rash-vests than I think I’ll need, then find I wear them all and don’t wear all my regular “dry” clothes. I wear a warm hooded top, a t-shirt, shorts and flip-flops to the airport (no socks). You’ll wear your flip-flops around the hotel on your last day (see later). Personal electronic devices like phones, iPods and eBook readers are useful to have on board. They can be charged in your cabin while you’re in there or on deck in a special charging rack on the wall. The sockets on a liveaboard will be the European 220 volt 2-pin style. Either bring EU chargers/cables or bring suitable EU adapters. Remember to bring chargers for everything! If possible bring a multi-port USB charger. If you have a device that supports quick-charge, make sure the charger you bring supports it. I can personally recommend this charger from Anker. It has 5 x high-power USB ports including 2 x Quick Charge 3.0 ports which will charge GoPro batteries in half the time. If you’d like to listen to music in your cabin, you could bring a bluetooth travel speaker. Remember to bring whatever charger and cable it needs. Making calls or using data while at sea is usually problematic. Network coverage near populated areas is good, but travel off-shore and coverage is bad – particularly in the Ras Mohamed National Park. The liveaboard will usually have a Wifi router with a 3G data card so you can make a data connection. The quality and speed of the connection is entirely dependent on the network coverage in the area, so don’t depend on it. Most of the time you’ll have no data and when you do, everyone will be trying to use it. If you’re taking a camera, bring lots of batteries, a charger and lots of data cards. Also if possible, bring some sort of storage device which you can empty your cards onto. This is useful for also taking copies of other people’s photos and videos. If you’re not taking a camera, take a USB pen drive so you other people can give you their photos. If you’re taking a GoPro (and most people do nowadays) you might want to take an underwater selfie stick. There are some tough neutrally buoyant telescopic versions that are popular. I can personally recommend the Sandmark Pole. It’s lightweight and tough and extends to 64cm. If you suffer from sea-sickness, bring whatever works for you and take them. Bring electrolyte / hydration powders. These weigh nothing and are great to rapidly re-hydrate you after your flight or illness. I take 2 x doses as soon as I get on board and take some every day along with gallons of water. Wet skin is easily damaged and only starts to heal when left to dry for a few days. This isn’t possible on a liveaboard, so bring fabric plasters (not the thin waterproof ones – as they’re not) and “liquid skin” to seal up cuts and grazes. It’s harmful to sea animals and plants. It’s up to you if you bring decongestants or antihistamines. Standard “medication-before-diving” precautions apply here, but if you’re on a liveaboard for a week and have paid for 21 dives, you need to make the decision whether to sit-them-out or self-medicate. The sun in Egypt is strong all year round and especially so at the height of the dive season (August/Sept/Oct). Go for something sweat/waterproof with a high SPF and 5-star UVA and UVB ratings. To reduce the weight of this in your luggage, buy it at the airport. Dive certification. There probably will be dives deeper than 18m, so remember to bring your appropriate certification. For PADI, this is your Advanced Open Water card, for BS-AC it’s your Sports Diver card. Gas certification. If you’re using Nitrox, bring your relevant card. For PADI, this is your Enriched Speciality card, for BS-AC it’s your Nitrox card. Remember to buy your Nitrox card as soon as you’ve got your BS-AC Ocean Diver cert. This is the PADI Medical Statement you will complete when you get on-board. Read it now. If you have any medical condition that means you answer “yes” to any of the questions, you’ll need to bring a doctor’s certificate showing you’re fit to dive. A copy of your dive insurance certificate or card. I would recommend getting DAN Insurance before travelling. It’s a good idea to put together a list of all the stuff you want to take before you actually start packing. Here’s my Red Sea Liveaboard Packing List I use every time I go on a liveaboard holiday. You could you it as a starting point for your own list. Get everything together in one place before you put anything in your suitcase or hand luggage. Weigh your luggage before you leave for the airport. A set of bathroom scales or a luggage scale is useful here. See Airline luggage allowance for more info. Make sure the documentation you need for your journey to the airport and your flight is in your hand luggage. Remember to pack whatever you need during the flight in your hand luggage. Especially things like headphones, lip balm, u-shaped neck-pillow-thing etc. It’s a long flight to Egypt (from the UK it’s 5½ hours to Hurghada) so make sure you’ve got stuff to entertain you. Load up your tablet or smartphone with films, music and podcasts. Make sure you’ve got books on your eBook reader. If you know you’ll be using your tablet for the duration, you might want to pack a USB powerbank* so you can recharge en-route. Charge up your phone, tablet, powerbank and anything else you want to use on the flight and (where practical) switch them to flight mode and power them off to conserve battery. I can personally recommend the Anker PowerCore 20000 Portable Charger. It has 2 x USB ports and 3 different fast-charging technologies built-in including Qualcomm Quick Charge 3.0 which will charge GoPro batteries in half the time. In the last few year airlines have significantly reduced their luggage allowance to as little as 20 KG. Some airlines used to give free extra luggage allowance on production of your dive cert on check-in. Monarch certainly used to do this and (at time of writing) Thomson are granting an extra 5 KG on production of your dive cert. EasyJet don’t offer free additional luggage allowance. and then all the way back home again. Your case(s) aren’t going to get much lighter on the way home, so I’d advise to stick to the restriction imposed by the airline and get creative and ruthless about what you pack. Don’t forget about your hand luggage. Some airlines also impose a weight restriction here too. I’ve heard reports of a 5 KG limit being imposed and hand luggage was actually weighed and travellers were charged excess luggage. The best thing to do is stay within the limits imposed and weigh your cases before leaving the house (ideally using two different scales) so you know you’re OK. Check before you fly, but some airlines will give you a few extra kilos of luggage allowance if you show them your dive certificate. I know Monarch used to give you 3 KG extra, taking you up to 23 KG for hold luggage. All airlines have restrictions about carrying knives, so if you’ve packed one, make sure it’s in your hold luggage and not your hand luggage otherwise it’ll be confiscated. Similarly, check the airline’s regulations about carrying lithium Ion batteries. Some insist that they must be carried in your hand luggage and not checked-into the hold. Here’s easyJet’s page as an example. 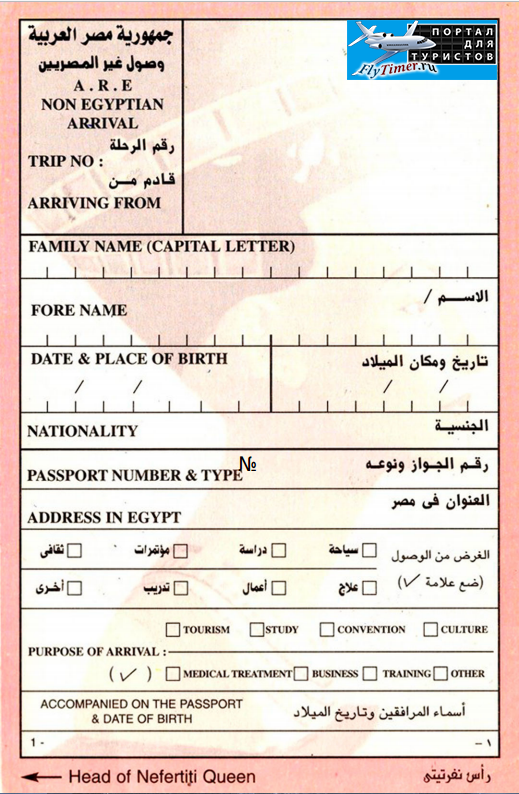 Make sure you’ve packed a pen in your hand luggage so that you can fill in your Egypt Immigration Form. This will be handed out during the flight. Fill it in straight away and put it inside your passport. At the airport arrivals area before security you’ll be met by your travel company representative and asked to gather in a group so you can be issued with your tourist visa. These are necessary as you’re travelling out of Sharm El Sheikh. They cost around 25 USD and come in the form of a full-page sticker that’s goes in your passport (make sure there’s a free page). Some liveaboard operators will have built this cost into your holiday price, so it’s just a matter of being handed one. If you do need to buy a visa, bring cash in in either USD, Euros or Sterling. The visa is stamped by security and then (for an unknown reason) is checked again by a chap sitting on a plastic chair on the other side of security. So don’t put your passport away until you’ve cleared both checks. Once you’ve got your luggage you’ll be herded onto a couple of coaches outside the terminal. At this point you’ll be asked to double-check that you’ve got a visa in your passport and it’s been stamped. Every time I’ve been on a liveaboard holiday there’s always someone who has either not been issued a visa or hasn’t had it stamped. These poor guys are then frog-marched back to arrivals by the rep to get things resolved. It’s late and hot and this makes everyone a bit more grumpy. Please don’t be “that guy”. The coaches will transfer you to where the liveaboard is berthed. For Sharm, this will be Travco marina. On the way there you’ll get a load of information in heavily accented Egyptian about your options for your last day. This is just what you don’t want to think about before you’ve even started your holiday! You will spend your last day at a hotel and be provided lunch and given use of all the facilities (pool, sunbeds etc). What they’re telling you is: you have the option to buy a room for the day at the hotel. This is extremely useful and isn’t expensive at all. It’s a great way to securely store your luggage, experience lovely air conditioning, have a snooze, have a hot bath/shower, use lovely clean dry towels and a toilet that you can flush paper down (and doesn’t involve a hosepipe). The rooms are usually twins and you can share the room (and the cost) with up to 4 other people. While on board and towards the end of the trip, you’ll be asked to decide whether you want to buy a room for your last day and this will be phoned through to the hotel. When you arrive at the marina you’ll need to queue up (again) and have your passports checked (again) and all your luggage and hand-luggage x-ray’ed (again) by the port authorities. You then carry your own luggage onto the boat. Once on the boat, your shoes will immediately be confiscated. You’ll then find out which cabin you’re in and who you’ll be sharing with. I’ve been extremely lucky on all my liveaboard trips to have always been allocated a twin cabin to myself. I think it’s because I’m a solo traveller among groups of dive-club members who know each other. If you know for sure that the boat isn’t full, have a quiet word ASAP with the Dive Master and politely ask if you can have a room to yourself. It’s always worth asking. You’ll take your suitcase to your cabin and empty it completely. Now fill up your suitcase with all your dive gear and take it to the dive deck. Find a spot on the benches you like, and fill your crate with your dive gear. Your case is then stowed below-deck and (like your shoes) will not be seen again until you leave the boat. There’s also some paperwork to do so have your dive certs, logbook and doctor’s certificate (if required) ready. Most people assemble their dive gear now from their crates before dinner. After an exhausting day of travel, a late arrival in a hot country and dinner on-board, you’ll sleep while berthed at the marina. Your first “check” dive will be the following morning at a site just outside the marina. These invariably contain two narrow but full-length beds. All cabins will be air conditioned and are en-suite with toilet, basin, mirror, shower and bin. There’s a drawer under each bed. One bed will have a smaller drawer because of the air conditioning. There’s also a small wardrobe with a high shelf and a drawer. Between the beds is a bedside cabinet containing life-vests with a drawer for your use. All cabins will have a window which can be opened. Lower cabins have portholes and are a bit darker. Upper cabins have larger windows but they open onto the walkway that goes around the outside of the boat so you might get people walking past. If you’ve paid for single-occupancy (about 50% of the cost of the holiday) or you’re lucky enough to have been allocated a cabin to yourself, you’ll have all the space to yourself – which is wonderful. You’ll also get an extra towel to use (which is a luxury). Take 2 sets of new unused ear-plugs. One pair for you and the other for your cabin-mate. You’ll be woken with a shout of MORNING! and a knock on your door between 5:30 and 6am every day! The ship’s bell is rung whenever it’s time for a briefing or food! Rub your name off the whiteboard on the dive deck. This tells the crew that you’re back on board. There are ice-cream/beer-fines for divers who don’t report back. The crew will refill your cylinder with either air or nitrox and put tape around the pillar valve when it’s full. The galley crew do an amazing job of feeding 30 people 3 times a day with hot freshly prepared food. There’ll be lots of it and after all that diving you’ll be ready for it. Vegetarian choices will always be available but if you have specific dietary requirements, you’ll need to speak to the holiday company before you book to check that the galley will be able to cater for you. If there’s a birthday or anniversary (diving or marital) on board, make sure you tell the divemaster and the galley will prepare something special – and often produce a huge cake! There’s no septic tank on a liveaboard, so whatever goes down the toilet eventually goes into the sea. This means you should never put toilet paper down there. Instead, put it in the small bin next to the toilet. Now, to us Westerners who are used to robust sewage systems, and flushing away all sorts of things, this rule raises a few questions – specifically “what do I do then?”. Well, taking a pee shouldn’t pose any problems, but what about “the other thing” ? There’s a hosepipe on the wall next to the toilet with a hand-operated jet on the end. You wash yourself with the hose. There you have it. This means no smell from the bin and everyone’s happy. There are a few things that will get repeatedly that you’ll want to dry out throughout your week on a liveaboard. Then at the end of your trip, you’ll need to dry all your dive gear before packing it back into your suitcase for your journey home. The breeze should dry the inside of your wetsuit ready for the next dive in a few hours. If you get the chance, go back and check on your wetsuit to make sure it’s drying properly. You might find you can turn it right-side-out and dry the the outside too before your next dive. If you’re wearing Lycra socks, rinse these in the dunk tank and knot them onto a railing somewhere to dry. Remember to bring more than one set of swimwear with you so you always have something dry to put on while you’re waiting for your other set to dry out. Each person will receive a single bath towel at the start of the trip and a replacement halfway through the trip. If you shower before breakfast and again after each dive, you’ll be using each towel 14 times (7 mornings + 21 dives divided by 2 towels). To dry and air your towel, clip it to an external railing on an upper deck – away from the sea spray. Don’t try and dry it in the cabin as it’ll get stinky really quickly. An alternative is to bring your own microfibre towel. These can be washed in your bathroom sink and dried quickly clipped onto a railing. I bring a set of tool clips with me so I can securely attach clothing and towels to the railings on the side of the boat. These can be picked up cheaply from hardware stores. I bought mine from Wilcos for £0.75 GBP each. If you can’t get these clips, bring a few clothes pegs. Remember to tell the dive guides whether you’re doing the morning dive or not, otherwise you’ll get woken up when you want a lie-in. Remember to write down what you’ve had from the honesty-bar in the book and pay the bill at the end of the week. Don’t take forever to get ready for a dive. Do as much checking and fiddling with kit before the briefing. Don’t be a know-it-all and tell everyone else what-to-do. how-to-do-it or tell people their kit is no good. Be nice. Diving four times a day is great but can be exhausting. Don’t feel bad about retiring to your cabin, setting an alarm for an hour and getting some quality sleep before the next meal or briefing. You’ll feel so much better for it. The boat will be moored-up back at the Marina for your last evening and overnight. After your last dive of the week, you’ll wash all your dive gear in fresh water and take it to the top desk and hang it all up to dry. This will stay here overnight drying in the warm windy Egyptian air. Remember to dry your wetsuit inside and out – you don’t want to be packing a damp wetsuit. The next morning you’ll retrieve all your dry kit, pack up your suitcase and take everything off the boat. You’ll be given the choice to either stay on board or go into town. I would definitely recommend the latter. Egyptian towns are bright, loud and a mad cross between Benidorm and Marrakesh with some great restaurants and bars. It’s a wonderful contrast to the serene week of diving you’ve just done. You’ll be taken from the boat on a coach to spend your last day at a hotel in Naama Bay – probably the Sharm El Sheikh Mariott Resort. Get the passports of everyone who’s sharing the room. Get the money or payment method ready. Designate a single member of the sharing party to run to get near the front of the queue at the hotel reception desk taking the money and passports. The rest of the group can look after the luggage. Remember to ask for a room key for each sharing party so you can all come and go. You’ll be allocated a room right at the far end of the complex. There’s another smaller pool up there and a pool bar which we’ve often commandeered. You can have lunch at the hotel but nothing else is included. If you want drinks or water from the bar, you’ll have to pay for them. You can leave the hotel, cross the main road and use the facilities of the other half of the hotel too – next to the beach. There are also some good bars on the beach. You’ll be picked up from the hotel late afternoon and taken to the airport. As you’ll now have seen, Egyptian airports are chaotic, hot and full of bureaucracy, security and lines of people queuing because of one or the other. Bring your trusty water bottle you’ve been clinging-to to all week and your eBook or headphones and chill out. Relax and keep your cool. Don’t get frustrated, angry or stressed-out, it won’t make the queues go down quicker or the plane leave earlier. This is fantastic! I will be using this for our up coming trip. Why you can’t pay with Egyptian money in Egypt ?? I’ve just come back from a week on a red sea liveaboard and I didn’t see any advertised option to pay in Egyptian pounds. It’s just US Dollars, Euros or Pounds Sterling. I’d imagine they would accept Egyptian pounds and I’d expect it would be 400 Egyptian pounds, but I can’t confirm this. Reading the above after my first liveaboard last week It’s 95% true with my trip (with emperors diving Marsa Alam). It was great. 4 dives a day. Came home with over 2000 photo’s, mostly under water 🙂 . I bring to much gear with me. I didn’t used my 5mm wetsuit. 2mm was more than enough. On the boat were tools and dive spare parts and medicine, but that’;s not common. It’s true to relax as much as possible, I didn’t cause I want to enjoy everything. There was no problem to pay with Egyptian Money. They crew was very helpful, especially for me because I speak Egyptian. I sure will do it again. Thanks for your comment. I’m glad you found the post useful. You’re right about the wetsuits. I was on a liveaboard a couple of weeks ago and I switched from 3mm to 5mm at the end of the week whereas other divers were in shorties all week! What a truly excellent article! I’m glad you like the article Francesc. Are you planning a liveaboard trip? Thanks for an excellent article. Any advice on tipping? Hi Steve. I’m glad you like the article. Re: tips… At the end of the week an envelope is left out in one of the communal areas. Over a few hours, people put into it whatever they feel is right for the service they’ve received other the last week. The tips are shared out between the crew, engineers, chefs, Dive Masters and the captain. They’re not fussy about the currency, but I imagine Egyptian Pounds, Sterling, Euros or US Dollars would be favourite. On previous trips, I usually put in £50 GBP. For me this is right, but I know other people who’ve put in different amounts (more and less). Thanks Adrian. All very useful and much appreciated.